The life of a crochet designer: First Customer! I had my very 1st customer on Felt yesterday! 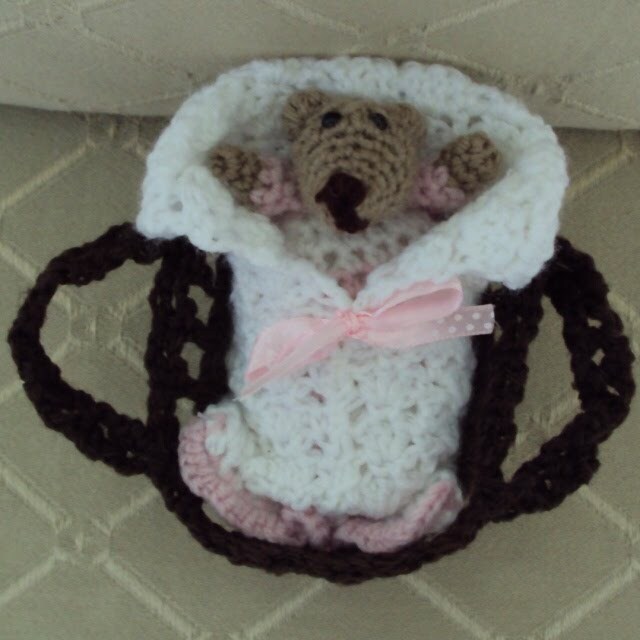 Though she didn't buy a crochet pattern, she asked me to custom make an item for her: my Crochetbury Baby Bear in Moses Basket. 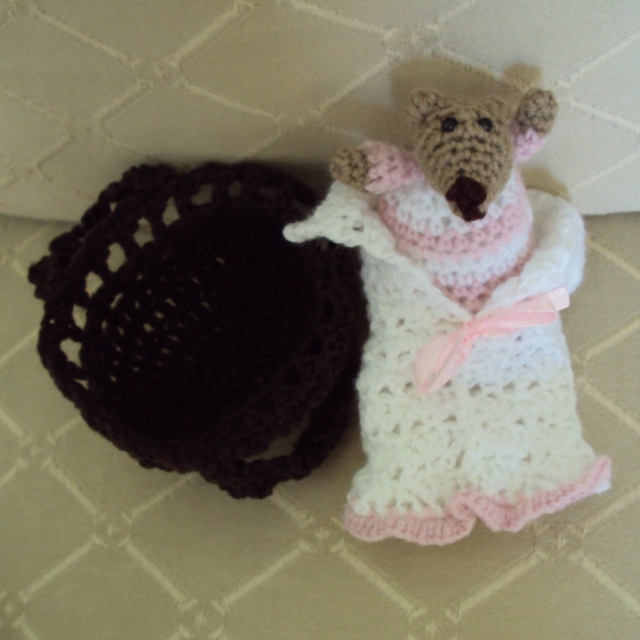 your stuff is so adorable..patterns..toys..clothing!! you will be sold out in no time flat!! I love the cupcakes and all your toys :) Congrats on first sale on FELT!! super fun! !